Want to hear all about our 5 star service? Take a read of some of our testimonials from our Facebook page below. If you would like to view the full list, click here. "I'll start by saying that have the saddest hair anyone could ever have. It's long, but it's incredibly fine and there isn't much of it. In my 21 years, I've never felt good about my hair, or enjoyed having it styled, as I'm always disappointed with the results. However Bella changed this for me on my wedding day. Due to my crazy schedule, I wasn't able to book a trial, so I was super nervous on the day, not knowing what my hair would end up like. I remained optimistic as I'd constantly stalked Bella's Instagram and loved her work. I have honestly never felt so excited about my hair in my entire life. I felt like a princess. She took the inspiration photos I showed her and made her own recommendations, and then delivered something that was better than I could have ever imagined! Whenever my hair is curled, it usually returns to it's dead straight style within an hour, but Bella's curls held all day and night, on a hot day and through lots of dancing! I cannot recommend Bella enough. She is kind, sweet and friendly, and will work her hardest to give you what you're after. Thanks again Bella!" "I got married on the 14th of May, 2016. Isabella was lovely, professional, listened to exactly what I wanted and made me feel very relaxed and comfortable. But more importantly... My hair, and my bridesmaids hair, looked absolutely AMAZING!!!! Would absolutely recommend her to anyone and everyone!!!" "I got married in April, 2017, and I am so glad I chose Bella for to be our hairstylist :) She is so sweet and friendly. My hair was amazing, I absolutely loved it. I wanted to have a loose, messy bun with braid detailing, and she definitely delivered! My bridesmaid had similar but different hairstyles, to suit them individually. Even my mum (who never gets her styled!) had the most lovely blow dry by Bella. Highly recommend!" 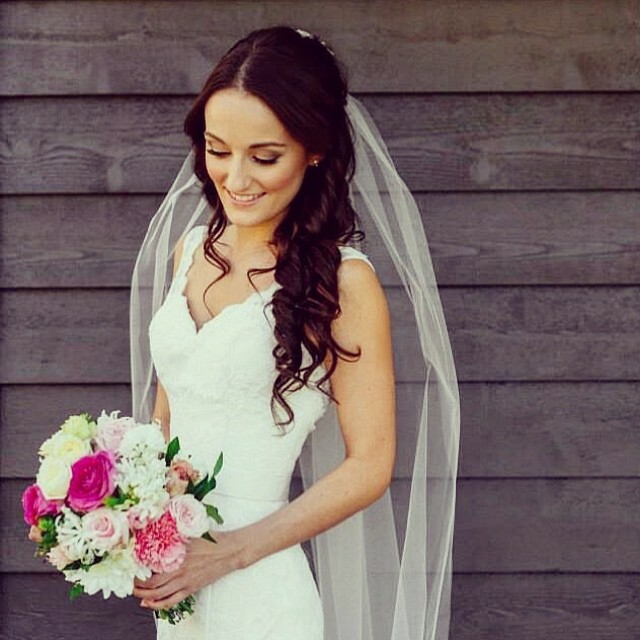 "I got married on May 9th 2015 and am so glad I choose Bella to be our hairstylist for the day!! She was amazing and the photos don't do her justice! She made sure we were all 110% happy with our hair and was able to make recommendations to make each style my bridesmaids choose suit and complement them more individually. Each of my bridesmaids had a different hairstyle but Bella made sure they all tied in and complemented each other!! She is so calm and kind and really brought a low lay vibe to the morning while we were getting ready. She was so helpful with my millions of questions prior to the event and extremely organised with invoices and advise for hair preparation. Can't recommend Bella enough to any brides to be or girls looking for special occasion hair. I know I will be using Bella when ever I need my hair styled in the future. She listens to what you want and exceeds expectations. Thanks so much Bella!!!!!" "The best hair stylist on the Gold Coast! Bella was my hairstylist for my wedding and my bridesmaids and I looked nothing less then perfection! All 5 bridesmaids were happy with their hair and so was I! She is so easy going and a perfectionist. Thank you Bell for your magic hands and styling!! I loved my wedding pony tail! " "Bella is an amazing hair stylist. So talented, very professional and a really lovely person. She made us all feel amazing on my sisters wedding day. Highly recommended her and you'd be crazy not to book her!" "Bella was great! I showed her some pictures and she did that but even better. She worked really well with me and my bridesmaids, just fantastic on the day." "I just wanted to thank you again for doing our hair for my wedding in August! The girls all looked so beautiful and we have all had so many compliments! Thank you!!" "Bella is absolutely amazing!!! It was my 21st on 3rd May '15, and she made my night even more special! Would highly recommend her to anyone for anything! I received comments all night on how beautiful my hair looked! She is such a down to earth person, is honest and caring, listens to you and what you want. She sure knows what she's doing!! Felt so comfortable and made turning 21 even more memorable - thank you Bella!" "Bella is amazing! I got married in Oct 2013 and had had the run around with all the hairdressers I spoke to. I found Bella through Facebook and was amazing that she was able to accommodate me with less then a month until my wedding date. I showed her a picture and roughly described how I wanted it to look. .my trial hair looked amazing but on the day I I decided to add extensions and Bella was able to tweak the style to look even more beautiful! I received many many positive comments on my hair throughout the day and from my photos. The bridesmaids hairstyle was decided on the day, Bella just went with it and they turned out great as well. I would recommend Bella to anyone! her services are second to none and She is very professional! She really cares about what your needs are. I Would definitely book her again a million times over ♡"
"Bella thank you so much for our amazing hair! The curls held so well! You did such an amazing job on all of our hair and I had so many comments about how great it all looked! Thank you again!" "I got married in October 2014. Bella was so helpful as I wasn't from the coast, we communicated only by technology up until The big day. Bella was amazing she was booked in to do my 3 bridesmaids, my mother, and myself. But ended up doing some of my guests hair as well as they were super impressed with her beautiful work, and quick hands. I have recently recommended Wonderful Bella to another bride because she was just an absolute breeze to work with and all of our hair lasted the whole day. So pleased with the service and finished product. Thanks again Bella"
"Bella is awesome. I got married in September 2013 and was dealt a rough card where my booked hair stylist did a runner, anyways Bella was there to save the day! My hair & my bridesmaids hair was gorgeous. I just showed her a couple of pics of what I liked and away she went. Bella is so nice and made me feel so comfortable. I would recommend her to anyone and everyone!! Thanks Bella - your are fantastic!" "Bella is amazing!! Would highly recommend her to anyone. I used her for my wedding and everyone was commenting on my hair. Such a down to earth person who knows how to style hair!" "I have engaged Bella's services for many years now for my businesses as well as for photographic modelling and social events. Bella was a part of one of my early cosmetic campaign's for Aurum Cosmetics back in 2011 and her work was and still is perfection. Her work is divine and she is so bubbly and awesome to be around! Her smile is contagious and I always know that who ever is being styled by Bella is in good hands!"